"A Lighter Shade of Gray" | Watts Up With That? 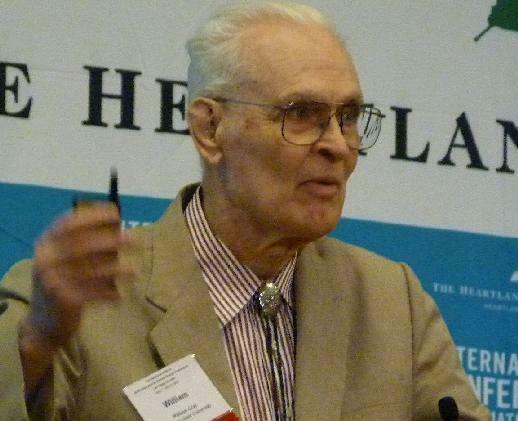 "A Lighter Shade of Gray"
Bill Gray at the ICCC9 conference at Las Vegas in 2014. In WUWT’s announcement of the passing of Dr. Gray, Phil Klotzbach commented that he and a colleague were writing a post with their reminiscences of their times with Dr. Gray. 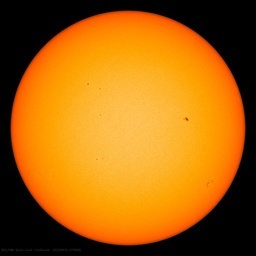 Phil and Brian McNoldy have posted it now, see it at the Capital Weather Gang’s blog. A couple fragments confirmed my suspicion that working with Dr. Gray must have been both exhausting and exhilarating. One of the things that Dr. Gray was most noted for was his unbridled enthusiasm. He would run up and down the halls to visit his graduate students’ office because he didn’t want to waste the time it took to walk. He also had a bell that he would ring loudly every Thursday prior to the department seminar, and every Aug. 20, to inaugurate the “peak” of the Atlantic hurricane season. April 22, 2016 in Announcements. Ahahahaha. Anyone who could answer that question “Because the storm surge can’t reach us at 5,000 feet” is my kind of guy. It was Willie Sutton who said this. Thank you, Phil Klotzbach and Brian McNoldy, for sharing your mentor, your colleague, your friend, with us. He would run up and down the halls to visit his graduate students’ office because he didn’t want to waste the time it took to walk. Bill Gray didn’t waste a second. Oh, how hard to have such a lovely symphony come to an end, the last note fade into silence. However! As Dr. Gray said (and Phil wrote of in his fine eulogy), his legacy is you … and you….. and you….. and you, too, his beloved graduate students… and their students…. and theirs….. and…. Bill was a scientist’s Scientist. We will miss him, especially as the Greeny Goons attempt to stifle scepticism, debate, and fact-based analysis. Indeed, when “Andrew” hit it ripped all the measuring instruments right of the roof of the “National Hurricane Center”. Glad we had an additional set of eyes in Dr. Gray, RIP. “were been” – can’t believe I messed that. Probably meant to be “were being”. Ya gotta watch out for those were beings, they’ll get you every time. For those who can’t get to 5000 ft to avoid the storm surge. Natural extremes in cyclones/hurricanes are far more serious than global warming hoopla. Design for the worst – and adapt to the rest. 7 bolts per square meter to keep the siding on. That’s the advice of a friend in Fiji who helped with emergency HAM radio service. He knew the cyclone had reached 235 km/h – for that’s when the anemometer blew away. One example I heard of for cyclone resistant housing in the South Pacific – build a very strong central safe space surrounded by coconut palm trunks. Let the outer portions of the house blow away and then rebuild them. For flood control, the Dutch have shown what can be done over a 1000 year time frame – with pragmatic plans of how to adapt for the future. – Far less expensive than “mitigation”! Is this the same Dr Gray who did a lot of important work on ocean circulation and climate – or a different one? Same one. He linked Atlantic tropical storm activity to changes in Atlantic and Pacific circulations. Later in his career he vigorously stood up to people who pointed to the increase in hurricane activity in the mid 1990s as proof that Anthropogenic Global Warming was bringing more extreme weather. Did Judith Curry ever apologize to Bill Gray for calling him senile for his skepticism of AGW, back when she herself was an outspoken alarmist? It sounds to me as Dr. Gray was a scientist of principle with a great sense of humour. however I didnt hear a whisper re Bob Carter an Aussie. One of the greatest things about Bill Gray’s generation, and boy did he live it out, was their ability to have fun. Many of their children and grandchildren take life far too seriously, do much less “clowning around,” laugh a lot less, nose-to-the-grindstone. They have forgotten the most important rule of every game: HAVE FUN. If you can’t have some fun doing it — do something else. As from Bill Gray: Step away from those screens, boys and girls, run outside, and PLAY! I never get tired of that John Fogarty video… Centerfield! Not to be a wet blanket, but the reason Dr. Gray worked at CSU is that his mentor Herbert Riehl moved from the University of Chicago to Clorado State in the early 1960s to found the Atmospheric Sciences department there. Gray came along and eventually became a professor there. You can study tropical meteorology while lodged in the mountains, but Bill Gray was a frequent visitor to Miami and many of this grad students found employment here working on hurricanes.